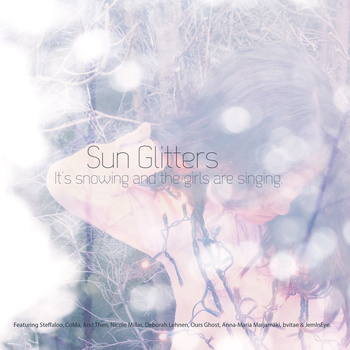 ‘It’s snowing and the girls are singing‘ is an album by chillwave artist Sun Glitters. It was recorded between January and December of 2012. Each track pairs Sun Glitters with a different female singer (except for CoMa, who features on two tracks. The absolute perfect soundtrack for this minute, the snow falling slowly outside of my window. Grab it on bandcamp for Pay What you Want.